BECO Dairy Automation partnered with us back in 2008. Their milking equipment line is very prominent in the San Joaquin Valley and it only made sense for Avila Dairy Equipment to add them to our ever expanding vendor line. We enjoy the convenience of having their main office of operations literally a stone’s throw from ours, about 1,000 feet (admitted, you have to have a good arm.) BECO’s passion for the dairy industry lines up our company’s mantra; Cow comfort, productive and efficient milking, and cost effectiveness. MooMonitor+ is a wireless health monitoring system which allows you to monitor your herd 24/7. It sends you alerts on your cows’ health and fertility. It is mobile friendly, which means all of your cows data is sent directly to your phone, tablet or PC. It is easy to use and totally secure. 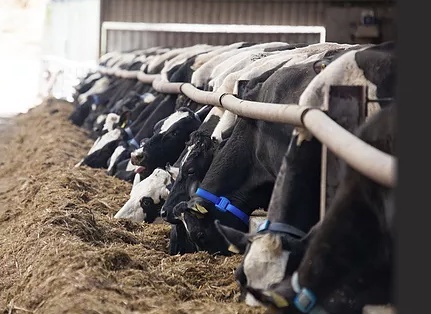 Every farmer wants easy and accurate heat detection, more calves at the right time, healthy cows and the best genetics possible…this is now possible with MooMonitor+! BECO's automation is known worldwide by its rugged reliability and simplistic design. BECO has an automatic detacher that will fit any dairy's needs—whether simple and economical or full meter automation. The automation is simple in design, but brings huge value with its easy to use dashboards, watchdog system, and industry leading 5 year warranty. All BECO detachers come standard with our restriction eliminating 7/8" design. BECO detachers have been the choice of many dairies for 60 years. See how BECO will fit the needs of your dairy. The IMMIX G2 system assists in improved parlor management, detacher settings are easily changed with the click of a mouse, set maximum milk time for both automatic and manual milking modes, real time information available at the computer and much more. The pulsation monitoring system PulsNexus monitors 24/7. There’s an actual alarm diagnostic, not just a red light, easily adapts to all systems, monitors parlor performance, ability to control the pulsator, sends alerts to dairyman automatically and helps manage employees. 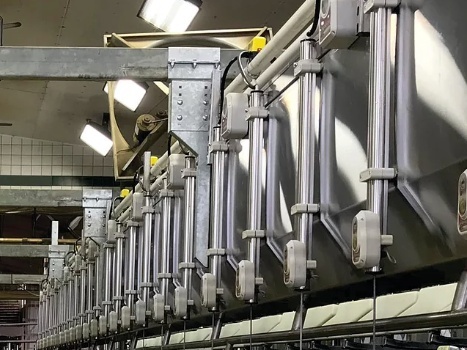 If you include BECO’s top of the line Claw, Pulsators, Liners and Backflush systems in your dairy’s operations you can’t go wrong. The claws provide steady vacuum that eliminates all claw vacuum restrictions. Ergonomic design that milk harvest technicians like, available in 7/8” and ¾” outlets. Designed with wider forks for front quarters and narrow inlets for rear quarters, allowing units to sit squarely under the udder. BECO’s pulsators always provide consistent milkout, they have independent exhaust, pulsation and vacuum ports with large porting for faster air movement. Electrical wires are plug and play into the pulsator with no exposed wires. BECO pulsators are simple to rebuild and easy to maintain, a complete rebuild can be done in 30 seconds with no special tools. The BECO BXR rotary is designed and engineered to withstand the rigors of a 24 hour dairy operation. The platform's heavy duty construction and design maximizes milk quality and operator efficiency. From the CIP swivel to the raised deck, heavy duty construction, and properly aligned stalls the BXR rotary was built with extreme detail given to strength, milk quality, and efficiency. The cabinets are heavy duty and built to last, they have heavy duty centering devices, do not rely on spokes or a swivel to stay centered. 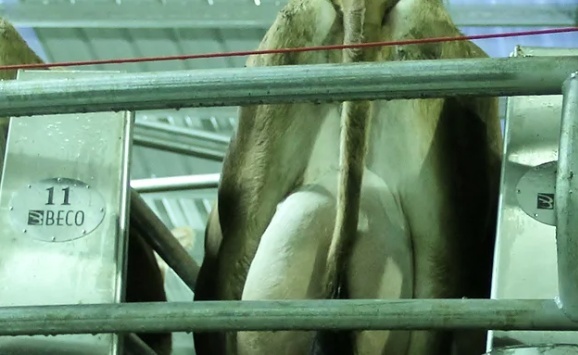 There is no weight resting on the swivel and all stainless steel, designed for the rigors of a 24 hour dairy operation. Dual pinch style electric planetary drives designed to go forward, reverse, and to be used as a brake. The deck is raised and allows for the proper 2% slope of milk lines eliminating any lifting of milk. With the deck extended it helps keep the basement clean and dry. 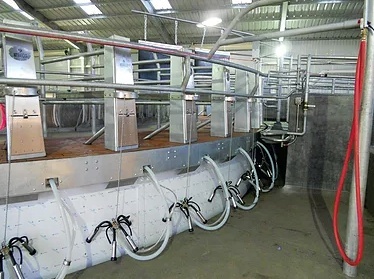 The stalls are aligned properly with platform rotation, takeoff unit comes first then the cow, smart. Angled stalls allow cows leg to be moved forward of the takeoff chain, allows for smoother unit retract. Avila Dairy Equipment has always been a real pleasure to work with. Their employees are very respectful and easy to work with, and their service is great. They work hard to keep your dairy running smoothly, and have always treated me fair. I couldn’t ask to work with someone better than Richard.